Skilled professionals experienced in helping buyers and sellers get deals done quickly, efficiently, and ethically. Maximum exposure with a robust online presence through a nationwide network of brokers and national affiliations. Certified experts who provide machinery and equipment appraisals. A proven team that truly understands privately-held businesses and franchises. 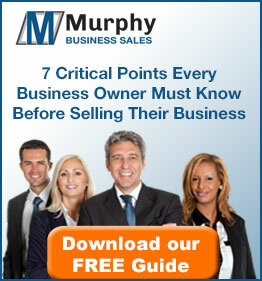 Let us find you a qualified buyer for your business. The selling process starts with a business valuation, so you know exactly what your business is worth and helps set a realistic selling price. We handle the confidential marketing of your business, qualify prospects, complete due diligence, and administer the closing process. Let’s get started! Let us find the perfect business that fits your interests and your budget. We have thousands of businesses listed for sale, all searchable online. If a franchise is more your speed, we have those too. Let’s get started! Let us tell you what your business is worth. There are dozens of reasons why you need to know: You might be buying, selling, refinancing, divorcing, reorganizing or something else entirely. No matter what your reason may be, Murphy Business Valuations are performed by qualified, experienced, professional appraisers and are in compliance with Uniform Standards of Professional Appraisal Practice (USPAP) of the Appraisal Foundation. In Southeast Missouri, we serve Cape Girardeau, Jackson, Perryville, Scott City, Sikeston, and their surrounding communities. We also have exclusive brokerage arrangements with several national franchises in North America.